Davis Concrete Correctors have 25 years of mudjacking and slabjacking experience! Mud-jacking, slab-jacking or concrete raising – whatever you prefer to call it, all these terms refer to the same concrete repair process that fixes uneven and sloped cement slabs. During the concrete raising process, a slurry mixture is hydraulically pumped under a settled slab filling in the hollow areas and ultimately raising it back to its original position. When we’re called to your residence or place of business to repair the concrete, we begin by drilling 1 ¼” holes in the sunken slab of concrete, approximately 2 to 3 feet apart. We then use a hydraulic pump to fill in the voids under the slab with a crushed limestone slurry mix. As the limestone fills in the gaps, the slab raises slowly. Once it reaches its original height, we stop pumping the slurry mixture, clean out the drilled holes and patch them. Once the process is complete, the limestone mixture dries hard quickly, and the concrete slab is as good as new and ready for use almost immediately. We’re often asked by potential clients how the holes we drill during the mud-jacking process look when compared to the surrounding concrete. They want to know if they will stand out or even be visible to unsuspecting visitors. The short answer is no, they are not typically visible to your visitors. This isn’t to say that you can’t see them, though. The drilled holes blend in nicely with the surrounding concrete once they’ve cured completely. You may notice the patched holes simply because you know they are there, and you know what to look for. 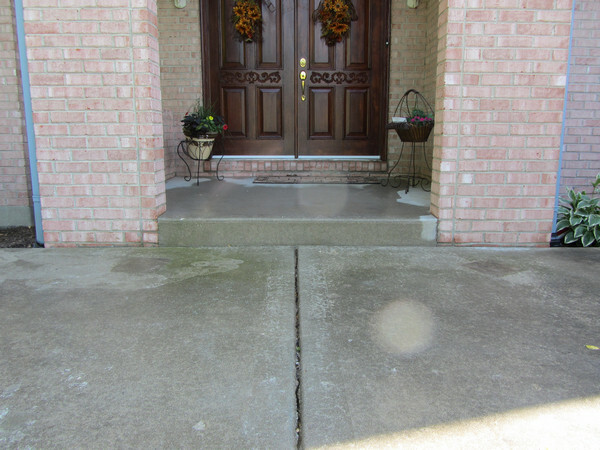 Your visitors, however, aren’t focused on your concrete slabs, therefore, they tend to not notice any repairs. Having said all this, we’d like to assure you that our many years of experience in slab-jacking means we make every effort to repair your concrete so that it is so close to its original state that even you have a hard time detecting any repair work at all. While concrete raising is the most common work we provide in the area of concrete repair, we’re often asked to seal cracks and joints in concrete as well. To do this, we use a rubber caulking to fill them in. The process is as simple as using a calking gun, but it extends the life of your concrete and prevents vegetation from growing where it doesn’t belong. Should You Repair Concrete or Replace It? 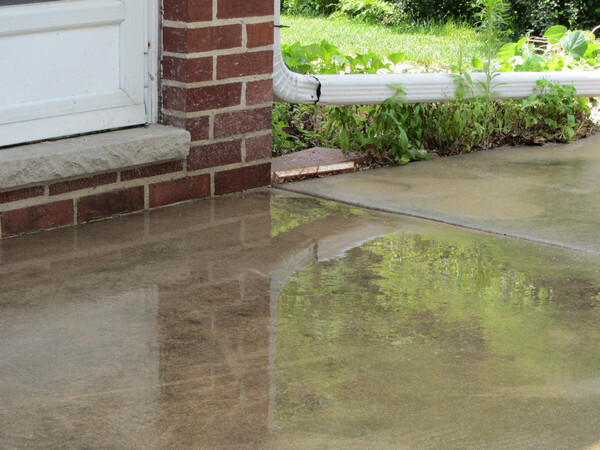 There are a lot of benefits to repairing uneven concrete rather than replacing it. Cost – In most cases, concrete raising is half (or less) the cost of concrete replacement. Usability – Raised concrete is usable the same day it’s completed, unless the concrete being repaired is part of a driveway. In this case, you can drive on your newly repaired driveway in just a day or two. Pouring new cement to replace the old means you’ll have to stay off of it for several days (depending mostly on the weather) until it has cured completely. No difference – Most of the time, people only replace the concrete slab that has settled in order to keep the costs down. This results in different colored concrete between the old and the new slabs. When you opt to use our mud-jacking procedure to repair your concrete, all the slabs look the same because they are all the original concrete. If you have uneven, sloped or settled concrete slabs on your property, don’t stress over their unattractiveness any longer. 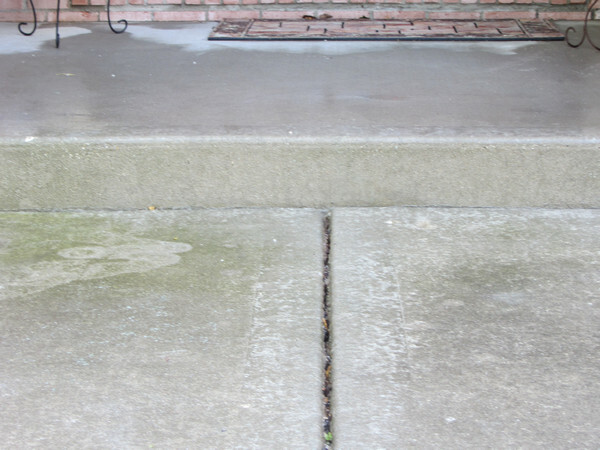 Call Davis Concrete Correctors, your oldest and most experienced slab-jacking specialists in North Central Illinois. We thought that our garage and driveway were going to need to be completely replaced. 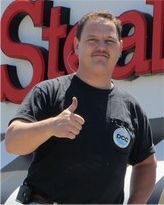 We are very happy that we caller Eric and DCC - because they fixed our mess at a FRACTION of the cost.